Thank You Button- pairing with 2 60ML (2oz) bottles. 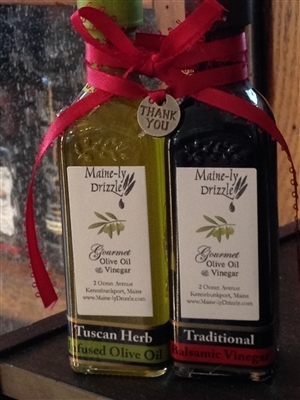 A very thoughtful way of saying thank you with this pairing of our two top sellers. You can't go wrong with this one. You will receive 2 60ML (2oz) bottles, one with Organic Tuscan Herb Extra Virgin Olive Oil and the other with our 18 Year Traditional Balsamic Vinegar. This pairing works for everyone that enjoys eating. 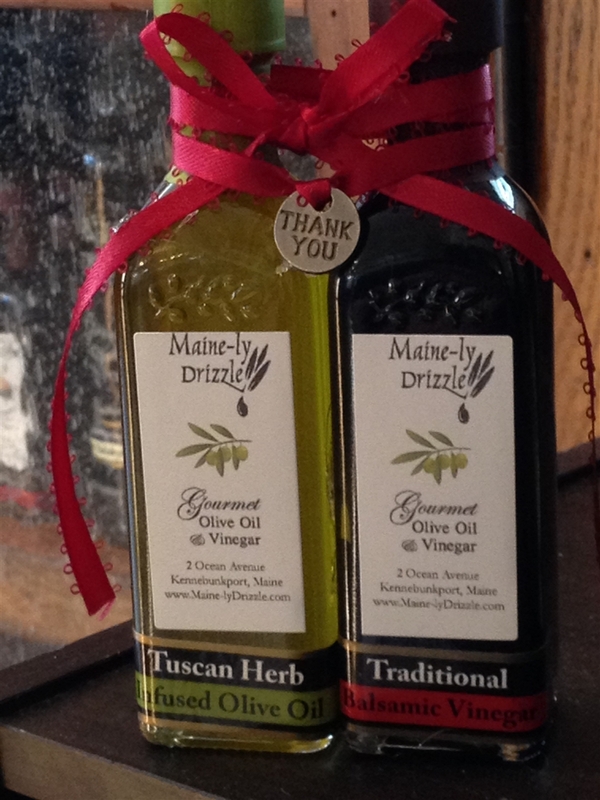 A wonderful gift to bring to a dinner party, or simply a nice way to say "Thank you"! !